Jim Kerth's first contact with Unlimited Racing was 1962 when he went to work for Shirley McDonald on the Notre Dame. He remained a crew member until 1965 when crew chief Bill Newman died on the deck of the Notre Dame after the boat had concluded a test run. Jim then served as crew chief under driver Rex Manchester in 1965 and 1966 and stayed with the team in that capacity until 1968. In 1969, Kerth moved over to the Gale team, becoming crew chief of the Myr's Special which became Myr Sheet Metal the following year. During this period Kerth accumulated five victories and he remained with the team when the Atlas sponsorship came in 1971. That year produced a relatively low two victories in comparison with 1972, when the Schoenith team nearly swept the season, winning six of seven races. Crew Chief Kerth, who built the engines for the Atlas camp, did not experience an engine failure that year. Jim Kerth was Atlas crew chief again in 1973, but moved over to the Miss U.S. team in 1974. The U.S. experienced a disastrous fire that year at Seattle, which put the team on the shelf for the balance of the season. Nevertheless, they came back in 1975 to win at Detroit and set a competition lap record at Seattle. In 1976, Kerth switched his allegiance to Indy cars briefly, although he did crew chief his employer's Spirit Of Dayton-Walther at one race during the year. In the ensuing years, Kerth was the crew chief on such boats as Gene Benning's U-7, Tri-City Tile and Masonry, Miss Circus Circus and Thousand Trails before becoming involved with Jerry Schoenith's Miss Renault in 1983. The Renault became the World Champion Race winner at Houston that year. Over the years, Jim Kerth has tallied 16 victories as a crew chief with five different boats for four different owners. 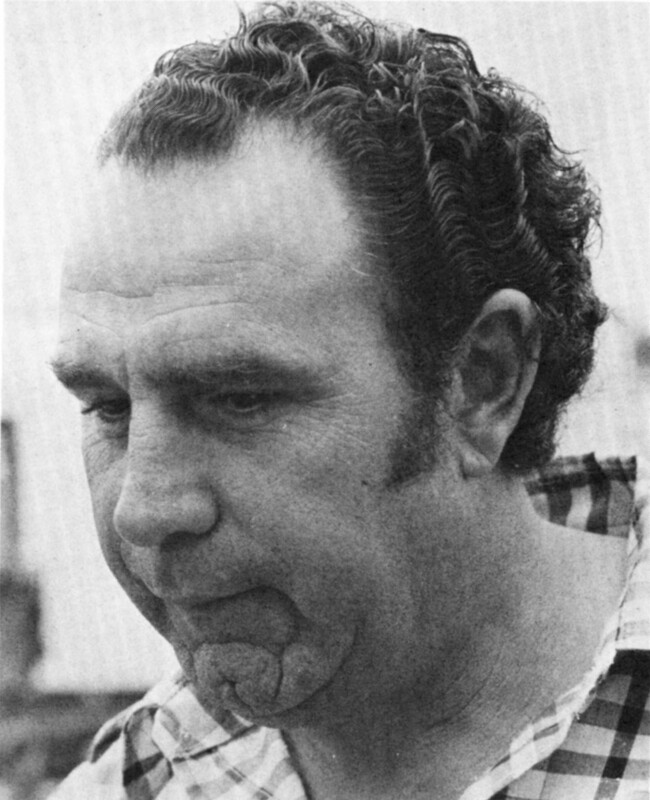 Jim Kerth won the National High Point Championship and the Gold Cup in 1972. Veteran unlimited hydroplane crew chief Jim Kerth, who led the Atlas Van Lines racing team to a sweep of national honors in 1972 and won crew chief of the year honors in 1983, died Monday in Kennewick, where he had been hospitalized for cancer. Kerth, 48, served as crew chief of various hydro camps, including the Notre Dame, My Gypsy, Myr's Sheet Metal, Atlas and Miss Renault. The Atlas boat in 1972 won six races, including the Gold Cup and World Championship, to capture national high point honors. Kerth, the sixth-winningest crew chief in the sport, had retired from the sport last winter. A memorial service is planned for 2 p.m. Saturday at Stan Sayres pits on Lake Washington, coincidental with a similar service at Mueller's Funeral Home in the Tri-Cities.